THE US MILITARY’S largest non-nuclear bomb killed at least 36 militants as it decimated a deep tunnel complex of the Islamic State group, Afghan officials say, ruling out any civilian casualties. The GBU-43/B Massive Ordnance Air Blast bomb – better known as the “Mother Of All Bombs” – hit IS hideouts in Achin district in eastern Nangarhar province yesterday. “As a result of the bombing, key Daesh (IS) hideouts and deep tunnel complex were destroyed and 36 IS fighters were killed,” the defence ministry said in a statement. US President Donald Trump had earlier called the mission “very, very successful”. 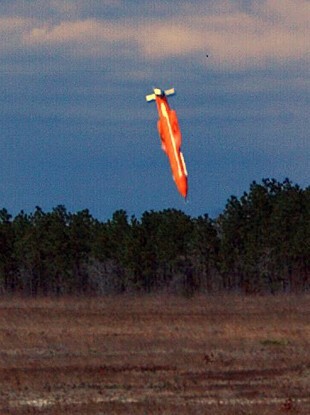 “The GBU-43/B is the largest non-nuclear bomb ever deployed in combat,” Air Force spokesman Colonel Pat Ryder said. Achin district governor Esmail Shinwari said the bomb landed in the Momand Dara area of Achin district. “The explosion was the biggest I have ever seen. Towering flames engulfed the area,” Shinwari told AFP. Email “Massive US bomb 'killed 36 ISIS fighters and destroyed tunnel network'”. Feedback on “Massive US bomb 'killed 36 ISIS fighters and destroyed tunnel network'”.